Normally I am more than happy to snuggle down in bed with a steaming mug of hot chocolate, a stack of books and loads of pampering when the sniffles hit. However, with The Husband’s much-awaited birthday a mere 24 hours away, there is really no time – or the inclination – to put up with a hacking cough, watery eyes, running nose, aching muscles and high fever this time round. Hence, the scramble to beat the cold and bring things under control in time for the celebrations – courtesy doctors, healers and spa professionals. This plan worked for me… will you be giving it a try? Diet is essential on the road to recovery. Researchers in Netherlands have found that having a good breakfast increases blood levels of gamma interferon – a natural anti-viral agent – by 450%. Going hungry, on the other hand, causes a 17% decrease. So, reach for the orange juice to build up your vitamin C and throw some antioxidant-packed mixed berries into a large bowl of warm porridge. Woken up feeling dreadful? A steaming hot shower will soothe your throbbing limbs and help clear the airways. Plus, the steam can knock the cold virus on the head and help expel it from the body – especially if it’s infused with eucalyptus or tea tree oil. The cold virus loves a dry environment. So, temporarily increase the level of humidity in your home to create unfavourable conditions. Also, the added humidity will slow the rate at which the mucous membranes in your throat and nose become dehydrated. 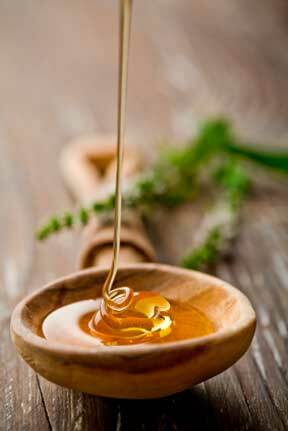 Honey is a popular home remedy for cough and colds in many cultures. And now science also concurs that honey not only coats and soothes an irritated throat, it also has antioxidant and antibacterial effects. Dark colored versions – such as buckwheat honey – works best. While you are more than welcome to down all those antihistamines and decongestants, also try some naturopathy. Studies show that the plant extract echinacea reduces the duration of the common cold by 1.4 days. Then there is zinc, which can cut colds short by 2-3 days and sharply reduce the severity of symptoms. You’re supposed to drink loads of water every day anyway, but if you want to get rid of a cold it’s even more important to flush your system and stay hydrated. Drinking plenty of fluids will help fight the dehydrating effects of a cold. It will also help loosen congestion and allow mucous to flow from the body more easily. And adequate water intake keeps the delicate tissues of the nose and throat moist and so reduces the discomfort of a sore throat. Green tea not only helps thin mucus and expel it from the body but also stops the cold virus from replicating. This is courtesy the EGCG – a chemical compound found in certain kinds of tea, but with the highest concentrations in green tea. Exercise is another way of strengthening the immune system (by increasing the body’s production of white blood cells) and beating a cold in shorter time than average. Not up for much physical activity? A simple stroll before lunchtime will suffice. At lunchtime, swap that bowl of vegetable soup for some lean chicken. Protein is the building block of immune cells and the hormones needed to prompt the immune response. That’s why people who cut out meat from their diet often suffer more colds, which in turn last longer. … at least the ones you’ve used. 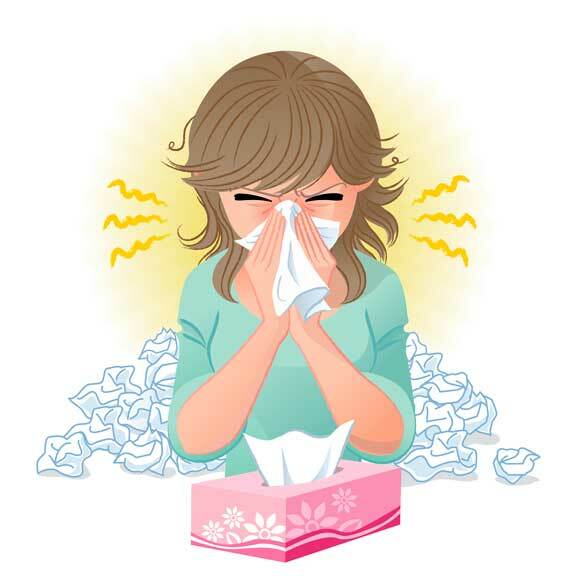 According to Cardiff University’s Common Cold Centre, almost 50% women carry around used tissues. Definitely not a good idea, when you consider that the common cold and flu viruses can live for 48 hours or longer if kept in a warm place like a handbag. And no, wrapping up the wet part and using the other side of the tissue is not a good strategy either – within minutes the virus will spread to the rest of the paper and even other items in the handbag. Yew! Even if you don’t go the four-blankets-and-two-coats route, keeping your nose warm is important in the mission to ditch that cold. Our noses are the first line of the immune system; chilling the nose slows down the action of the cilia, the hairs in the nostrils that brush away bacteria and viruses, so giving them more chance to invade the body. At dinner time, turn up the heat with a spicy curry or chili. Ingredients like ginger, garlic and chilli peppers are renowned for their anti-viral and anti-bacterial properties, as well as their ability to clear the sinuses. The spices can help get rid of germs from the system and clear the airways. Added bonus: they might be the only foods you have a chance of actually tasting! Sleep, sleep, sleep… and sleep! Nothing restores the body’s strength and capacity to fight off infections than a good night’s sleep. In fact, according to researchers at Loughborough University’s Sleep Research Centre, if the amount of sleep you are getting decreases by 40%, the effectiveness of your immune system will decline by 50%. And for the immune system to operate at full strength, you need to sleep a straight 8 hours – the amount shown to produce the highest levels of “natural killer cells”, which attack viruses. This will help with the drainage of nasal passages. If the angle is too awkward, try placing the pillows between the mattress and the box springs to create a more gradual slope. 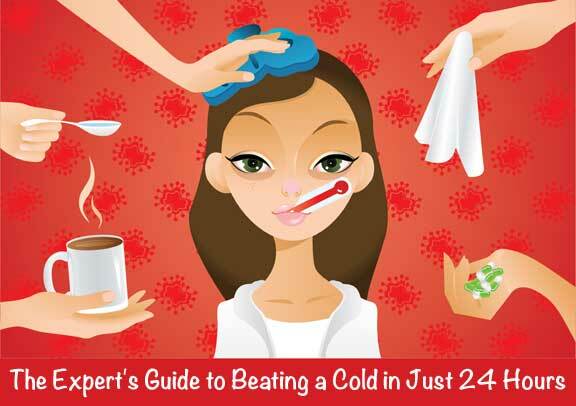 What’s YOUR secret heal-a-cold remedy? so happy to have been helpful 🙂 🙂 and hope you feel better soon!! This is such a fantastic post!! I haven’t had a cold in a while *knock on wood* because I practice many of these in my day-to-day routines. Ever since I started regularly drinking loads of water, my immune system has been supercharged! When I do get sick, though, the symptoms always last for weeeeks. I’ll definitely book mark this page for reference later on! Thanks Anubha!